Age qualifications. You’re probably aware the borrower needs to be age 62 or older to qualify, but in the case of married couples who both want to be on the loan, both borrowers will need to be 62 or older. In addition, the loan amount will be calculated of the age of the youngest borrower, with the older the borrower, the more funds available. Does your home qualify? Not every residence qualifies for a reverse mortgage but many do. The home must be HUD and FHA approved. These include: single family or a 2-4 unit homes with one unit occupied by the borrower, as well as some condominiums and manufactured homes. If you’re looking to purchase a home with a Reverse Mortgage for Purchase, any new construction must have a certificate of occupancy. Once it’s determined your home qualifies, an appraisal will be done to determine it’s value. Financial Assessment. In some recent changes made by HUD to ensure the continued progress of the reverse mortgage industry, a financial assessment became part of the application process. This is set up to make sure borrowers are financially stable enough to continue to pay property taxes, homeowner’s insurance, and other related costs to the home, although once a reverse mortgage is obtained on the home, there are NO mortgage or loan payments. Although the financial assessment is similar to that with a traditional mortgage, if borrowers don’t meet the traditional criteria, there are still options through a Fully-Funded Life Expectancy Set-Aside, which is an amount drawn under the HECM that is reserved for payment of property taxes and insurance by the lender; or a Partialy-Funded Life Expectancy Set-Aside which works the same as the Fully-Funded option except a smaller reserve is drawn when borrowers meet credit requirements but not income requirements. The amount of both of these reserves is determined by the age of the borrower and the value of the home. During these first steps, it’s incredibly important to work with a trusted and reputable reverse mortgage advisor and lender. You should never feel pressured or feel your concerns and/or questions aren’t being addressed. Also watch out for scams that some homeowners can easily fall prey to. Sara Cornwall is a local Reverse Mortgage Advisor serving the entire state of Connecticut. Contact Sara and learn if reverse mortgage is right for you. So, who are these HECM Reverse Mortgage professionals, anyway? And how do you know which is the right fit for you? Banks and Credit Unions – Most local banks and credit unions do not offer reverse mortgage loans, although sometimes the larger ones will. Unfortunately seeking a loan through them can often mean little or no face-to-face time, and it’s not uncommon for these banks to leave the industry down the road. At one time Wells Fargo and Bank of America were in the business, but they quit, leaving their borrowers with loans that few employees can understand. Brokers – A reverse mortgage broker is a third party individual that is licensed by the state but doesn’t work directly with a lender, instead they essentially shop the marketplace. When working with a broker, borrowers will pay higher fees because they will have to cover the costs of the broker! In addition, because all transactions run through a third party, things can easily get slowed down – or even stalled – like in the situation I mentioned above. Direct Lender Advisors – This is the category I fall into. Working directly with a lender that specializes in FHA insured HECM reverse mortgages, such as Retirement Funding Solutions, I’m able to offer local, personal, face-to-face time with clients, and eliminate the need for costly third-party fees. (Be forewarned most lenders do not offer face-to-face meetings or allow you to work with the attorney of your choice.) I’m able to do all this while ensuring the smoothest, most efficient transaction possible because I am handling the loan and not farming it out to another company. HECM reverse mortgages are available to individuals and married couples age 62 and older. These FHA insured loans allow homeowners to live mortgage and loan payment free until they pass away, permanently leave the home (meaning 12 consecutive months), or they default on financial responsibilities associated with the home, such as property taxes or homeowner’s insurance. The funds are available via monthly installments, a line of credit, a lump sum, or even to purchase a home. For many older homeowners, a reverse mortgage is a feasible option to living within a budget, without the constraints and worry of excessive financial distress. In order to qualify for a reverse mortgage, the individual must own their home, be at least 62 years old, and have some equity in the home. Funds from a reverse mortgage can be accessed in various ways including a line of credit, monthly installments, a lump sum, and they can even be used to purchase a new home. In general, the older the borrower (or the youngest borrower in the case of married couples) and the more valuable the home, the more money available. Other factors also come into play, such as: the appraised home value, interest rates, and the amount of equity in the home. Once a basic understanding of how a reverse mortgage works, the next step is finding a lender. 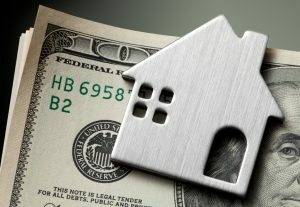 Where to find a lender? Reverse mortgages are marketed in every possible way. Television, radio, mailers, internet, etc. Although not all of these methods ensure trouble, some of them can be scams. 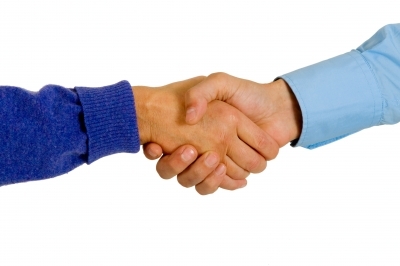 When seeking a reverse mortgage lender, it’s important to speak with people you trust. Ask around at your bank or financial institution. Speak with a financial or retirement advisor. Talk with neighbors or friends who have utilized a reverse mortgage. Seek information from the local Chamber of Commerce or Better Business Bureau. Seek out other resources that may be available in your community. What to look for in a reverse mortgage lender? Working with a reputable reverse mortgage lender is critical. The reverse mortgage industry is riddled with scams and flashy sales. It can be risky to get involved with a lender who does not offer all the details or who is just looking to make a “quick sell”. A reputable lender will have strong connections in the community, working closely with a network of professional organizations, and be will to take their time with you. Seek out a lender that is a member of the National Reverse Mortgage Lenders Association (NRMLA). Members of the NRMLA must conform to a strict code of lending ethic. Look for a lender that is affiliated with the Better Business Bureau (BBB), where you can also learn of any complaints against the company. When it comes down to it, always follow your gut. Just because a lender may meet all this criteria doesn’t mean they will be right for you. If you do not feel comfortable or feel your questions are not being adequately answered, there is nothing wrong with working with someone else. HECM Reverse Mortgages are not to be taken lightly. This is why working with an experienced and dedicated reverse mortgage advisor, as well as a reputable lender, is so important. I hope you find the information on my blog helpful while you consider how a reverse mortgage may benefit you or a loved one. Please don't hesitate to contact me with any questions. Will A Reverse Mortgage Affect Social Security, Medicare & Pension?